Jawahar Naodaya Selection Test is held on 8th January 2017 & also exam is conducted on 8th April & 10th June in extreme bound areas . The Examination is organized in all the states of our Country India. 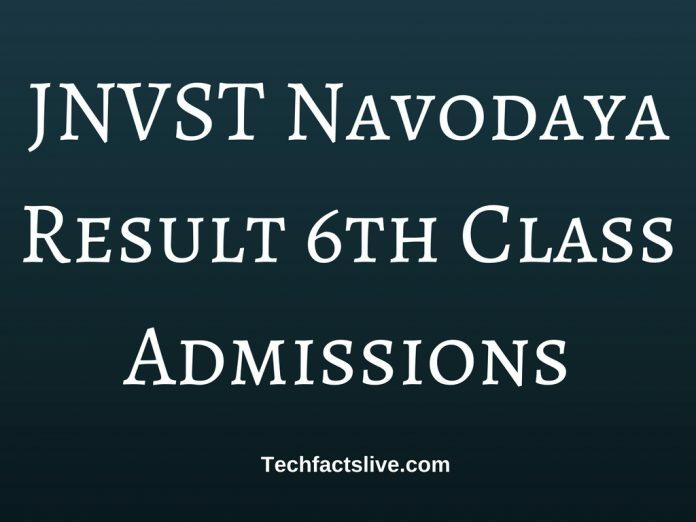 Now on 23rd June the board announced Navodaya JNVST VI Class Admission Result. The result of JNV academic session 2017-18 can check at site navodaya.nic.in. Schools Jawahar Naodaya Vidhyalayas (JNVs) will run by the Navodaya Vidhyalaya Samiti. JNVs are affiliated to CBSE Board. These schools are specifically tasked to find the merit students in rural areas. They provide education from VI to XII standard. There are 589 functional schools and 660 sanctioned schools. JNVST 6th Class Entrance Exam Results 2017 list is also displayed in the concerned offices such as Jawahar Navodaya Vidyalaya, District Education Officer, District Magistrate, Deputy Commissioner, Navodaya Vidyalaya Samiti of the Region. Here on our site we have also uploaded the PDF of Navodaya Vidhyalaya Selection Test Result 2017.